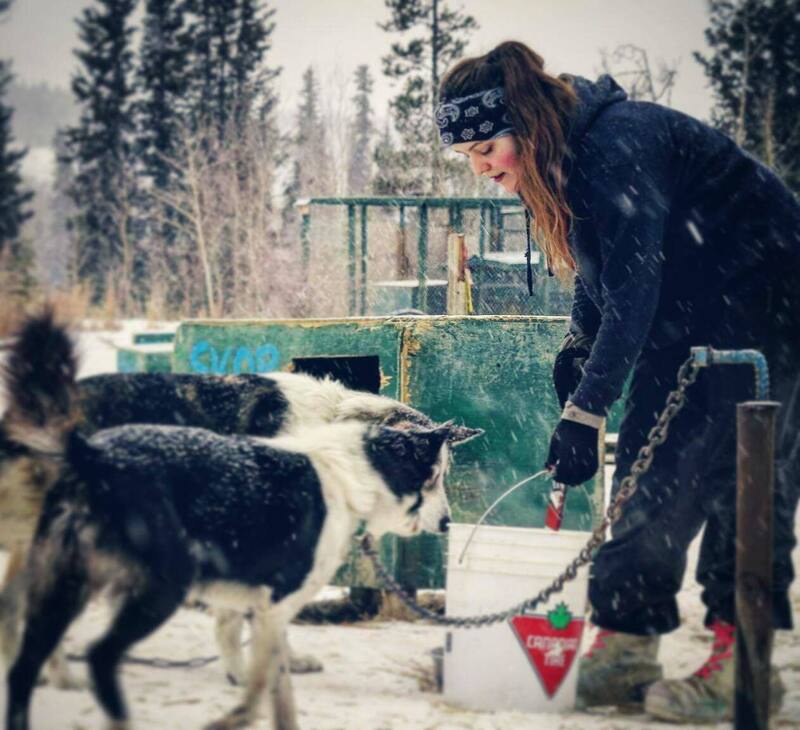 Under the eye of an experienced guide, you’ll immerse into the traditional ways of a musher. You’ll socialize with the powerful canines, giving them the exercise they need to traverse the boundless north. You’ll learn about their nutrition and get to fed some of the Huskies on your own. 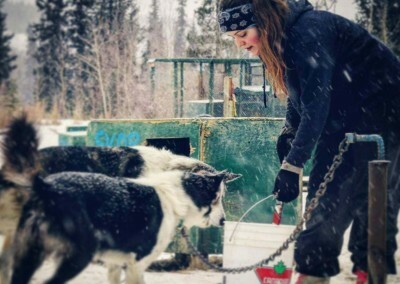 Prepare the hardy huskies for your own dogsled adventures, feel the excitement trembling through their bodies while putting their harness on, feel their strength when hooking them up to the sled and be thrilled by their power when you take off. Savor the piece and quiet on the trails while you discover the beauty of the Yukon with your dog team. Hand-on, supervised experience training, feeding and interacting with the dogs and puppies. Join in as the dogs enjoy their exercise. See what is involved in sending the dog teams out on tours and welcome them when they return. Lunch and hot beverages included. Duration: 7.5 hours. Tour runs from 9:30 am to 5:00 pm. Please ask about discounts for youth, children and groups of more than 6 people. Call OR email your booking inquiry OR click here. Transportation is available for an additional modest fee. Advance booking required Transportation is available for an additional modest fee.